Switching to VoIP can save small businesses as much as 45 percent each month over traditional phone service. 300,000 people in the UK are currently using cloud VoIP solutions and experts predict that by the end of 2018 only 6 percent of the U.S population will still be using the traditional landline phone network. 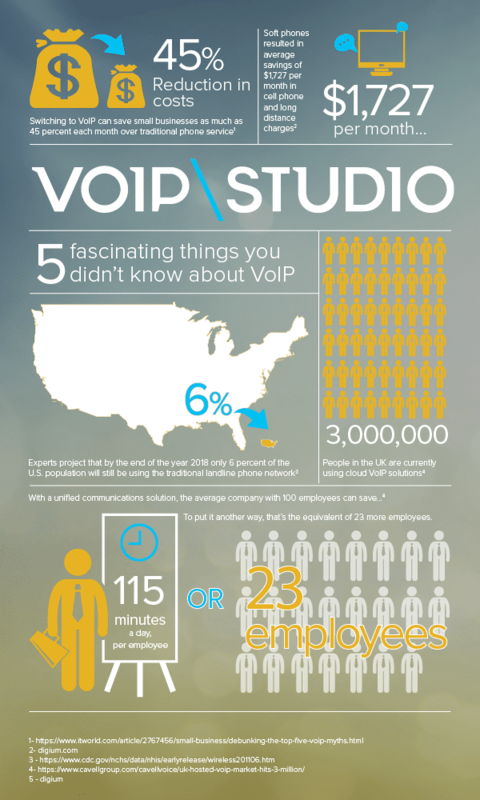 Take a look at our new infographic outlining 5 fascinating things you didn’t know about VoIP. Check out the benefits of VoIP by signing up for a free trial!